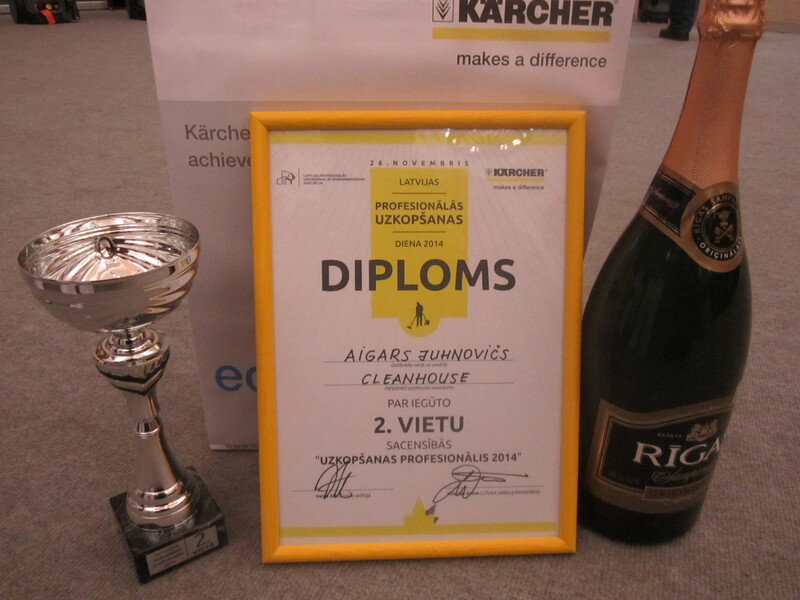 Cleanhouse partakes in the first Professional Cleaning Days! 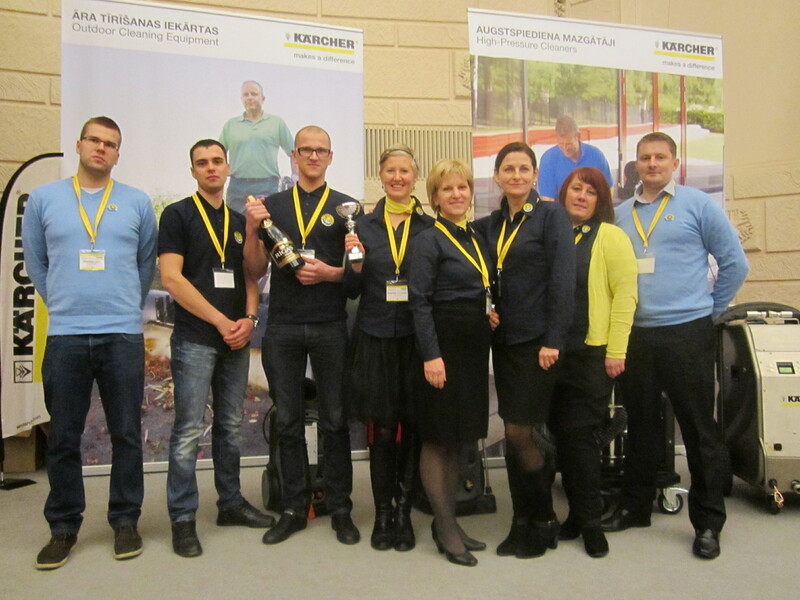 Within the Professional Cleaning Days of Latvia, the organizers of the event – Professional Cleaning and Facility Management Association of Latvia (LPUAA) and Kracher – held experience-exchanging and educational seminars, changing Latvian professionals’ concepts on the cleaning experience of associates from other countries. Associated professionals from Estonia and Germany shared their experience, describing what methods had been used to promote professional interest in cleaning technicians and how they had increased the level of professionalism. The professional cleaning equipment brand Karcher presented innovative and environmentally friendly solutions for efficient cleaning at a higher quality. An exciting highlight of the event was the competition of cleaning where all attending businesses competed for the title of Professional of Cleaning 2014. All teams were judged based on the efficiency of cleaning by an international jury. Of the 6 teams competing, the Cleanhouse team came in as vice-champions. In the conclusion of the event participants expressed that Professional Cleaning Days of Latvia is a necessary event to support professionals in the field and that they hope that the event will become a tradition. Professional Cleaning and Facility Management Association of Latvia (LPUAA) is a professional association for employers, manufacturers, suppliers and researchers that work in the field of cleaning and facility management. 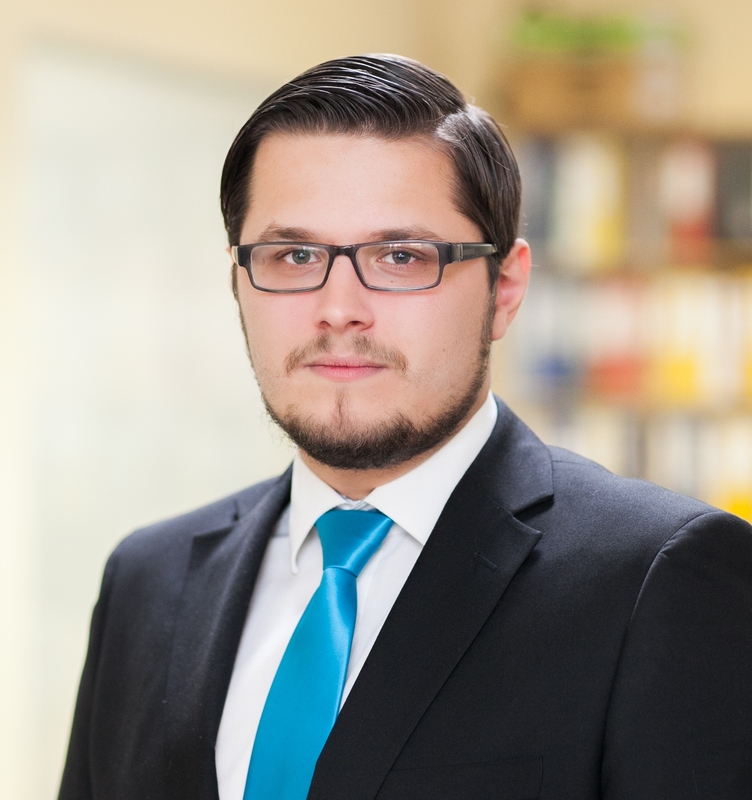 The association was founded in order to jointly find solutions for problems in the professional cleaning and facility management field and facilitate its development in Latvia.